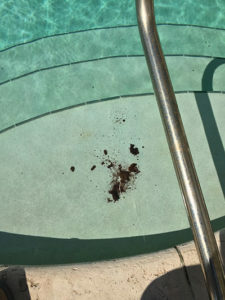 If you are looking for workable solutions for raccoon poop, then CRITTER PRICKER is the right product for getting a quick fix. 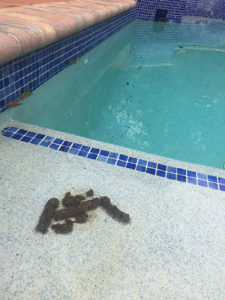 We provide a solution for when raccoons poop in your pools or attics. Critter pricker is a raccoon repellent. It is one of the most effective tools to drive raccoons, and unwanted wildlife away from your home and properties. Critter pricker can be offered as an additional preventative tool after a seal up or trapping service to keep wildlife from coming back in the future. 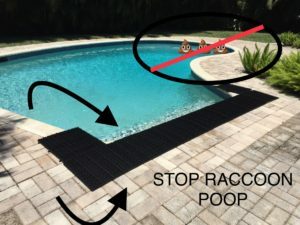 The Critter Pricker is a raccoon deterrent / wildlife deterrent that was developed to help remove and prevent wildlife from entering vulnerable and unwanted locations in your homes, property and pools. The sharp spikes make it uncomfortable feeling when wildlife attempt to step on it. Critter Pricker is easy to install yourself, or ask your local wildlife removal company to install them. The Critter Pricker is a PROVEN wildlife deterrent with video documented results for raccoon poop removal. Please check out our videos of the Critter Pricker in action!